We are offering all the types of plastic extruder machinery which is extensively used in plastic industries for different application areas. 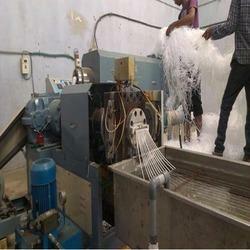 Our Plastic Extruder machines are best suitable for LLDPE /LDPE/HDPE/ PVC etc. and are offered at competitive prices. Our extruder is available for Plastic Extruder Machine, plastic extrusion machine, Extruder Machine, Reprocessing Plant, blow molding plant extruder, Plastic Reprocessing Plant, Mono Filament Plant extruder, Jerry Can Plant extruder, Tubing Plant extruder, Box Strapping Plant extruder, Sutali Plant extruder, Blown film plant extruder, HDPE PVC Pipe Plant extruder, etc. Capitalizing the skills of our professionals, we are offering a quality assured assortment of Recycling Machine. 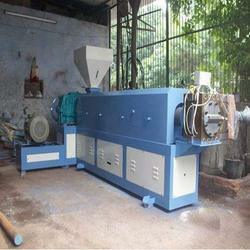 The Recycling Machine we offer is widely demanded for its sturdiness and reliability. Moreover, offered products are safe to use.These products are known for their unique appearance. Offered products are designed accordingly to meet the needs and requirements of the clients. Besides, one can get these products in the market at industry leading prices. Recycling plant available in standard, vented and high L/D ratio version, having screw & barrel made out from alloy steel & fully nitriding, hard crome plating. 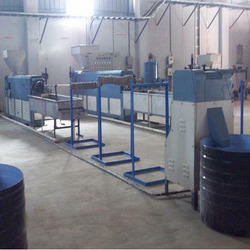 "Archana extrusion machinery mfg". is one of the remarkable and trustworthy names in the market for offering a wide assortment of Two Stage Recycling Machinery. These products are offered with Vented Extruders which assures the chemical inks, entire moisture and volatiles in the material that are detected by the venting system to ensure the superior grade reprocessed granules.